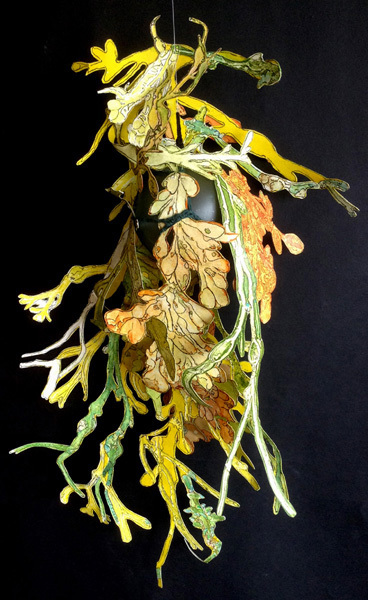 My recent work has been inspired by seaweed. This plant life intrigues me, both because of its crucial role in the health of our environment, and because of its beautiful physical characteristics. I am fascinated by the variety of forms seaweed takes, whether it is wafting in rock pools or dried in clumps at the high tide line. The pieces in this series, Floating, begin as monotypes which I create by laying actual strands of seaweed across the inked plate. 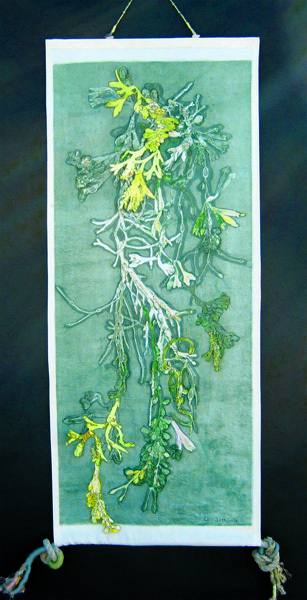 This seaweed is printed multiple times in different configurations, and often on both sides of the fabric or paper. 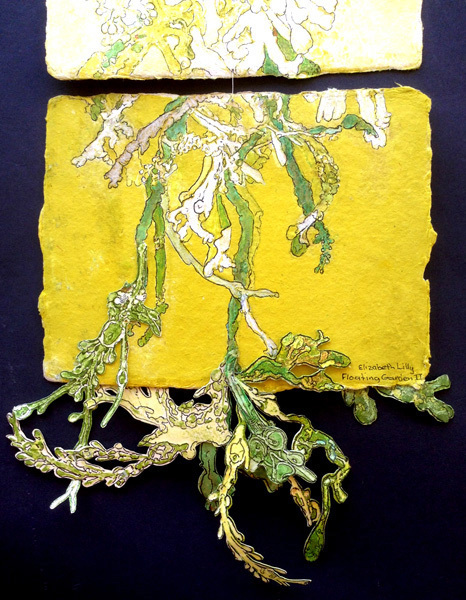 To create pieces that suggest undulation, I attach cutout paper seaweed shapes to monotypes printed on fabric or glass fishnet floats. I like to observe ocean waves, bringing in shifting combinations of material. When the water recedes, a unique formation remains. 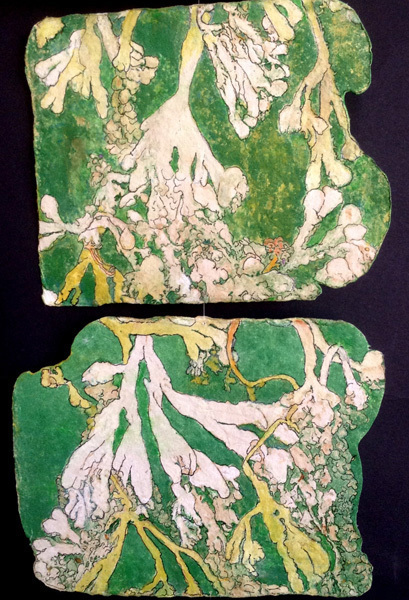 Printing a monotype, I am able to replicate this process of shifting materials to reveal a variation of impressions that imitates change and impermanence found in nature. 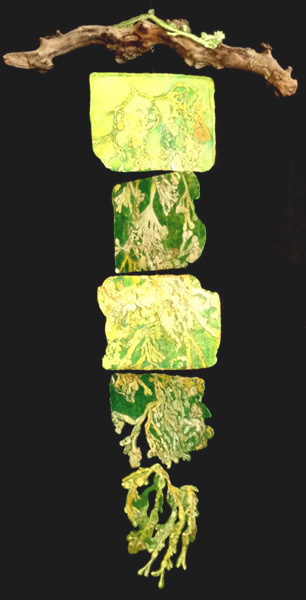 Thus, the monotype series, Floating, reflects process, imagery, and personal experience.